Some things simply are meant to be and the purchase of my OMM Sonic Smock was meant to be. It was 17.34 on a dark Thursday evening in January 2014, just a couple of days before I would be taking part in Country to Capital an email arrived into my phones inbox. 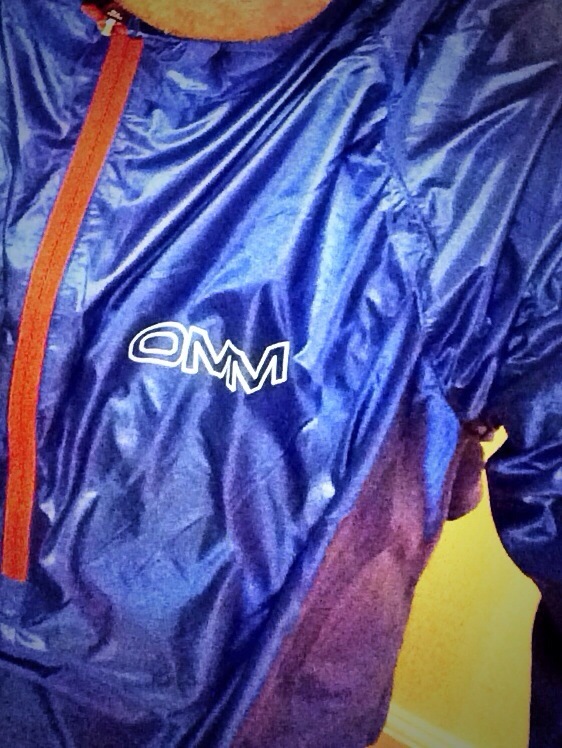 I opened it to see something rather glorious – the OMM Sonic Smock in a vibrant blue. I was near the Runners Need around the corner from Oxford Circus so I casually popped my head in – but they didn’t have any – that was that. Well sort of. I also needed an Aquapac map case and so I wound my way through the streets and casually ended up near Snow and Rock in Covent Garden, handily they have recently added a Runners Need next door… again i popped my head in and on the rail was every size of OMM Sonic Smock. I quickly tried on the large (experience has taught me OMM stuff can come up a bit small) and lo and behold it fitted. Purchase made – £29.99 a bargain, thanks Runners Need. Obviously I tried it almost immediately and there are two things you can say straight off and that is a) it looks great and b) it weighs nothing – like 60g and that’s mainly the zip I think. The things you notice as you wear it are that it’s pretty good at keeping the wind out, it’ll repel a light rainfall, it stuffs into its collar and stows away at the size of a small apple and you can stuff it even as you run. Despite the lightweight nature of it the jacket feels tough and robust and I’m using it on a daily basis, which should tell you all you need to know about how much I love it. Visually I went with the shocking blue option which is very vibrant with a nice shocking orange zipper which pulls down halfway and has a little pull cord at the bottom. This is all brought together with just enough reflective material to help with running or cycling safety. I’m a big fan of OMM stuff and this jacket helps explain why. Go get one!